Sony enhanced its flagship full-frame G Master series lenses line-up with the launch of the highly anticipated 24mm F1.4 Prime lens. Expertly engineered for exceptional performance across all aperture settings, the new FE 24mm F1.4 GM (model SEL24F14GM) utilises Sony’s advanced optical technologies to satisfy the demands of photographers. It features a compact and lightweight design with a filter diameter of φ67mm and measures just 75.4mm x 92.4mm and weighs a mere 445g. Meeting the strict standards set for G Master lenses, the FE 24mm F1.4 GM combines high resolution and beautiful bokeh, both of which are redeeming features of G Master. 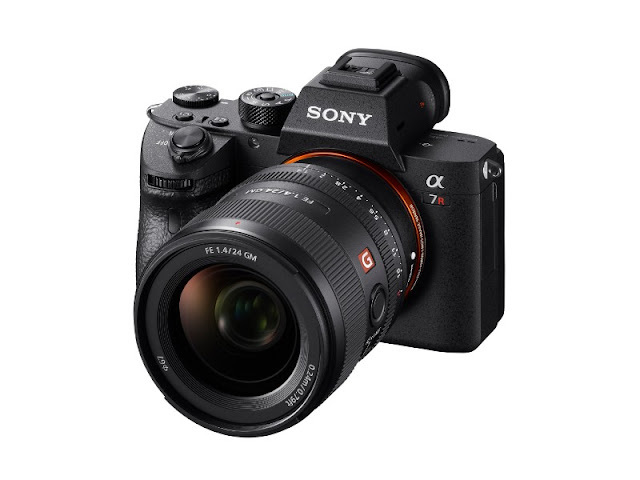 This incredible high image quality and compact lens perfectly complements Sony’s APS-C sensor mirrorless cameras such as α6500 and α6300 and brings the total number of native Sony α E-mount lenses to 48[i]. Sony will continue to evolve its lens line-up in order to meet the demands of all types of photographers, videographers and multi-media creators, with a range of different offerings to maximise the power of the innovative α™ camera series. Capturing details in high resolution across the entire frame, even at F1.4, the FE 24mm F1.4 GM boasts a new optical design comprising 10 groups with 13 elements featuring two XA (extreme aspherical) elements and three ED (Extra-low Dispersion) elements. The incorporation of two XA elements effectively suppresses sagittal flare[ii] so that point light sources are accurately reproduced, making the FE 24mm F1.4 GM a compelling proposition for starscape photographers. Sony’s unique Nano AR Coating is applied to reduce flare and ghosting for impressive clarity, even in landscape shots where the position of the sun is often problematic with a normal lens. This industry-leading performance is packaged in an extremely compact and lightweight body weighing just 445g. For landscape photographers who often have to walk for long distances to get to the perfect shooting spot, this provides a welcome reduction in the weight that they have carry, an advantage that is further compounded when the FE 24mm F1.4 GM is paired with one of Sony’s award winning α7 / α9 bodies. This lightweight package has been realised in part by the development of a new high power DDSSM (Direct Drive SSM) which delivers approximately three times greater thrust than the previous DDSSM, enabling fast response, high positioning accuracy and quiet operation for both stills and movie shooting. In addition to its landscape and starscape shooting abilities, the FE 24mm F1.4 GM also has excellent close up performance of 0.24 metres (0.79ft.). As a member of Sony’s flagship G Master lens series, the new lens features an incredible level of resolution and soft, natural bokeh. As bokeh quality is directly affected by spherical aberration and axial and lateral chromatic aberration that can also cause colour bleeding, all of these factors are painstakingly controlled at the design and manufacturing stages to achieve maximum image quality. Furthermore, the FE 24mm F1.4 GM includes a number of professional controls that bring ease of operation for both stills and movie shooting. An aperture ring allows direct, intuitive aperture control whilst an aperture click switch makes it possible to enable or disable click stops as required. The focus ring features Linear Response MF for fine, responsive manual focus control, giving the user the control immediacy needed for fast, accurate manual focusing. The focus hold button is customisable and a focus mode switch makes it possible to quickly select auto or manual focus to match changing shooting conditions. The FE 24mm F1.4 GM will be available in Malaysia in mid of October 2018. The product feature video can be viewed on the Sony Camera Channel on YouTube. 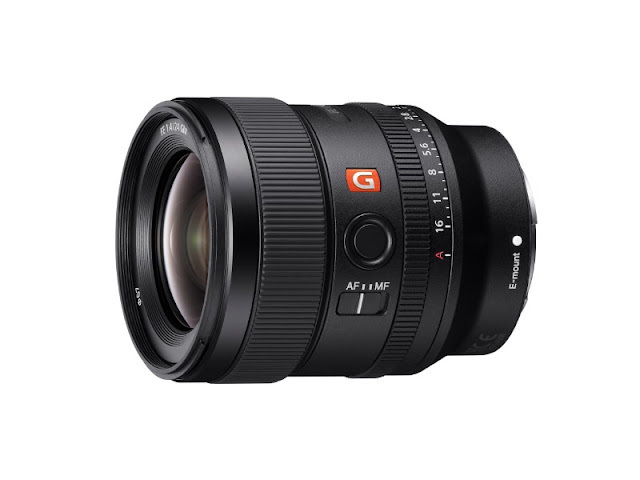 For more information on the new FE 24mm F1.4 GM lens, please visit its product homepage on Sony.com here.